Help mission workers while you shop online! The festive season is fast approaching and here’s a quick reminder to get your shopping done in good time, if you haven’t done it already. In doing your shopping online you have two wonderful opportunities to help Syzygy. First, you can shop with Amazon Smile. With Syzygy listed as your registered charity, we will get 0.5% of what you spend buying through Amazon*. In effect, it’s money for nothing. And if, like many of our friends, you use Amazon a lot, we could be in line to benefit significantly. All you have to do is register by going to https://smile.amazon.co.uk/ and selecting charity number 1115354. Then shopping in your normal way. But remember to use the smile.amazon portal every time, because if you just go to the regular Amazon website it won’t pick up your link to Syzygy. Secondly, if you use Everyclick as your search engine and choose Syzygy as your nominated charity we’ll also pick up some donations for every search you make and a percentage of your spending on any website you access through their website. I tried to sound more confident than I was as I asked them to pray. I was aware this was an opportunity to teach them the value of faith, but I wasn’t sure I had enough. But God, indeed, is faithful, and before the two weeks were up, somebody had donated a car to us and the mission workers were thrilled with it. 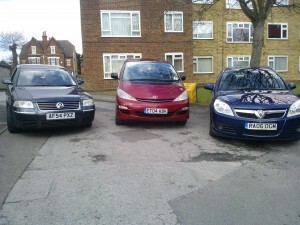 And God has continued to provide for the Syzygy car ministry, to such an extent that we now have three really good cars and our service has become so popular it is often booked up two years ahead! And now we are looking to God to provide again. We need another car to meet the growing need of large families, and we have plans to raise £10,000 to be able to buy a 7 seater like our Toyota Previa. So just as I asked those two young men to join with me in faith for God to provide, I’m now asking you to join us. Will you pray with us for the money for the new car? Will you ask God if your donation might be part of the finances we need? As we have remarked before, God is generous, but he keeps his money in other people’s pockets. So to get this money raised, those people need to be listening to God, and willing to join in his generosity. We are confident we can raise this money in time to be able to bless another family coming back to the UK this summer. Please help us make their Home Assignment easier by helping us get another car! You can find instructions on how to give at our Get Giving! page, or email info@syzygy.org.uk for more information. 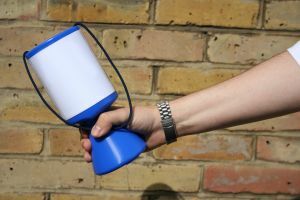 Raising financial support is something that most of us working in the missions sector have to do, and yet few of us find it easy. It is always a challenging issue. It’s something we all need, and everyone knows we need, and yet it’s something we can find it difficult to talk about. Options range between not talking about it at all, via aggressive fundraising, to self-supporting. There isn’t necessarily a best option, or a right one, but the answer may depend on your theology or the attitude of the organisation you’re serving with. There are three principal approaches to bringing in funds from outside (other than generating them yourself). The George Müller approach involves telling nobody what is required, simply relying on God to provide, since he already knows your needs. Müller built a massive orphanage complex in Bristol housing 2000 orphans using this approach, but it’s not for everyone. Hudson Taylor, who was inspired by Müller, set a precedent for his organisation of answering questions about the needs, but stopping short of asking directly for money. D L Moody was quite happy making a direct appeal to people for funding, and raised large amounts by this method, which remains popular in the USA and in US-influenced organisations. It is important to realise that all of these methods are based on our trust in God, even the latter, which though requiring our active participation in the process, still recognises that the funds come from God motivating other people to give. I personally have trusted God for my income for over 10 years (sometimes through paid employment which God provides) and I have never lacked for anything I needed. Perhaps if we find our funds don’t stretch far enough, we should start by reassessing what our needs really are. In Matthew 17:24-27 we find that Peter had a problem. He needed to pay tax but he didn’t have the money. So he goes to discuss the matter with Jesus. But Jesus already knew what the problem was, even before Peter said anything. He told Peter to go fishing. Peter could do that. He was used to it. So he went and did what he was told to do. He didn’t worry about the problem. He just got on with the job. As he did so, Jesus provided the money. These are incredibly difficult times for mission workers financially. Churches are cutting back on support, individuals are reducing giving as they feel financially squeezed, the pound has lost a lot of its value and inflation in many host countries is high. I know many of us whose income has fallen by almost 50% in real terms in the last few years. The outlook is gloomy, from this perspective. Yet one has to wonder how small our God is if he cannot overcome a financial crisis. Even in these challenging circumstances there are many stories of God miraculously providing. As we and our supporters make sacrifices, God is able to use us. As I discovered with my recent mission trip to Brazil, God provided every penny I needed, and more, so that I could generously bless the children I went to work with. All thanks to the generosity of my supporters, and the generous God who motivates them. So when we approach the challenge of fundraising, let us start by stirring up our trust in the generous God who loves us, called us, equipped us, and will provide for all our needs, and (as we learn in Philippians 4) all the needs of those who give sacrificially to support us. A fuller discussion of fundraising methods is found as part of our online guides to doing missions well: click here.